Yajnavalkya Smriti refers fourteen sources of knowledge. They are – the Vedas (Rigveda, Yajurveda, Samaveda and Atharvaveda), Vedangas (Shikaha, Kalpa, Vyakarana, Nirukta, Chanda and Jyotisha), Purana, Nyaya, Meemamsa and Dharmashastra. A very interesting passage in Mundaka Upanishad broadly divides Vidya into two types – Para and Apara. Knowledge is dealt within Apara Vidya. The Veda-s are scriptures and Vedanga-s are the Vedic Auxiliary Science that deal with phonetics. Every Vedic Scripture has 4 types of texts- Samhita, Brahmana, Aranyaka and Upanishad. There are special Vedic grammar rules for each Shakha known as Pratisakhya and phonetic rules known as Shiksha. Mimansa Sutras describe rules for interpretation of Vedic text, Nyaya & Vaisesika sutra-s (deal with logical aspects, ontological classification, process of human understanding), Purana-s are narrations of messages and teachings of Veda-s, Dharma Sastra-s describe code of conduct for universal harmony. The word ‘Veda’ means ‘knowledge’ and is derived from the Sanskrit root ‘vid’, means ‘to know’. It does not refer to one single literary work, but indicates a huge corpus of literature, which arose in the course of many centuries and has been handed down from one generation to another generation by verbal transmission. ‘Veda’ is also called ‘Shruti’ meaning what is heard, as opposed to the ‘Smriti’ composed by sages at a later stage recounting the content of the Vedic texts. This referes the purely oral-aural method which was (and is) used for it. It means, “The scripture, which describes the divine method for obtaining what is desirable and for giving up what is undesirable, is called Veda.” This definition presents the purpose of the Veda. According to another definition, as per the sage Apastamba ‘the Veda is the name given to the Mantras and the Brahmanas’. This definition describes the form of the ‘Veda’ because it could be divided mainly into these two great divisions–the Mantras and the Brahmanas. Accordingly, Mantra part is the main part of the Veda and whatever is not Mantra is Brahmana. Here it is interesting to know that many ancient definitions of Veda, showing its significance, form or contents are given in ancient Indian texts. Generally speaking the word ‘Veda’ signifies highest, sacred, eternal and divine knowledge as well as the texts embodying that knowledge. The significance of the Veda is manifold. It has been universally acknowledged that the Veda is the earliest available literature of humanity. The Veda in the form of prose and poetry in Sanskrit language, has been regarded as authoritative knowledge. Its authority seems to have remained unquestioned for several millennia, and it has been considered the last tribunal in matters of dispute whether in religion or philosophy or social customs. The term ‘Astika’ is used for those systems of Indian philosophy, which have faith on the authority of the Veda and the term ‘Nastika’ is used for those systems of Indian philosophy which do not have faith on the authority of the Veda. The Vedic language is marked by extreme economy of expression. Many times it seems to carry some deep hidden meanings indicating mystical truths. Often it makes symbolic impression. The wise souls, from the immediate successors of the Vedic seers right down to our times, have searched for and discovered the revelation of the deepest truth in the Vedic texts differently. That is the reason many commentaries and reference- books are written by the ancient and modern scholars for understanding the Veda and the Vedic concepts. This vast reference material further establishes the importance of the Vedic texts. Despite being oldest, the Vedas have been preserved in their true form up till now. Even Max Muller, a renowned European scholar, has admitted that, the text of the Vedas has been handed down to us with such accuracy and care that there is hardly any change in the words, or there is any uncertain aspect in the whole of Vedas. The credit for this goes to Vedic seers (Rishis) who devised means of protecting and preserving the text of Vedas letter by letter, with all their accessories. Vedic mantras have accents (Swara) which preserve its original form of word- construction. Samhita-Patha – in which Mantra remains in its true form. Pada-Patha- in which each word of a Mantra is separately spoken. Krama-Patha- in which two words of a Mantra are spoken jointly as Ka-kha, kha-ga. Among them Ghana Patha is most difficult and the longest. Another step was to prepare treatises known as Anukramanis in which the names of Rishi, Devata, Chandas are mentioned in reference to each hymn of the Vedas. Chandas means meter which also helps in avoiding loss of content by enforcing number of syllables. A.A. Macdonell has rightly observed in his ‘History of Sanskrit Literature’ – ’since that remote time, the text of the Vedas has suffered no change whatsoever with such a care that history has nothing to compare with’. Likewise the Upanishad says that the Vedas are just like expiration (Nihshvaasa) of that great ‘Brahman’. They are ‘breathed out’ by the Brahman. 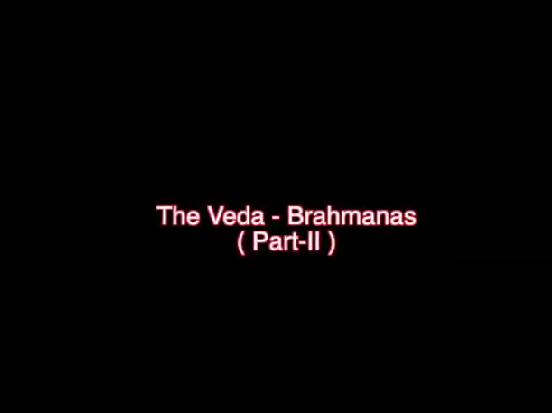 So the Veda is eternal just as Brahman. There is no outside evidence available as inscription, seals etc. Dates are not mentioned in the Vedic texts. The doctrine of ‘Apaurusheyata‘ proves the Veda as eternal. Vedic astronomical accounts found in Vedas are not very clear. View of the Indian and Western scholars differ on this subject. On the question of the age of the Veda, the only source that remains is the literary evidence on which are based the so-called literary or linguistic theories. Other theories are based upon some assumptions which have yet to be proved conclusively. Max Muller has rightly exclaimed in his book ‘Physical Religion‘ (P.18), “Whether the Vedic hymns were composed in 1000 or 1500 or 2000 or 3000 year B.C., no power on each could ever fix.”Certainly Vedic knowledge is beyond age and time as it is eternal and universal. When we talk of the age of the Vedas, we mean to determine the period of arrangement and composition of the main Vedic texts. Boghazkoi inscription (1400 B.C.) found in Asia Minor refers to four Vedic deities, so we may consider the latest limit of the Vedic age before 1400 B.C. But the final word has yet to be said on the age of the Vedas. 4. Balgangadhar Tilak Astronomy 6000 B.C. 5. R.G. Bhandarkar Vedic- mantras 6000 B .C. 6. Shankar Balkrishna Dikshit Astronomy 3500 B.C. 8. M. Winternitz Boghazkoi 2500 B.C. 9. F.Maxmuller Buddhist Literature 1200 B.C. An attempt has been made under the project for understanding of the Vedic wisdom through the lenses of the modern scientific knowledge specially in the field of Sciences, Mathematics, Medicine, Astronomy, Architecture, Legal Systems, Metallurgy, Philology, Environmental Studies, Aeronautics, Astrology, Rituals etc. Recordings of some of the experts with their publications has been integrated under this project to attract the younger generation.